Elk and Pea, a funky cafe on Braddon's Lonsdale street serves hearty food with a Central American influence. Part of the Parlour family (which includes Parlour Wine Bar and Knightsbridge Penthouse) Elk and Pea is a more eclectic dining establishment than its counterparts. With Elk heads along the colourful graffiti-ed wall and stuffed peacocks adorning the interior, this restaurant is visually appealing, especially if you get to sit inside what I call the "Birdcage Table". On this occasion, I was invited* by Elk and Pea to sample their Sunday Boozy Brekky, which is available all day (from 8am - 3pm). When Macgyver Boyfriend and I arrived at 11am, it was still packed with patrons so I was super glad I had booked a table beforehand. There are two boozy brekkies on offer. I ordered the Smashed Avocado, Mushrooms and a Mimosa ($25*). As a meatlover, the thought did cross my mind whether I made the right choice in ordering this vegetarian dish. Was it going to fill me up? But when it arrived, all doubts flew out of my head immediately. This was a vegetarian dish of mammoth proportions. However, the size wasn't the only thing that impressed me. The mushrooms had been cooked in thyme-butter and were absolutely delicious. Combined with the smashed avocado, marinated feta, torn basil, and poached egg - it was a delightful vegetarian feast. The mimosa cocktail of orange juice and sparkling wine was the perfect accompaniment. The other boozy brekky dish was the Grande and a House Beer ($25*), which Macgyver Boyfriend ordered so we could try one of each dish. If my vegetarian dish was of mammoth proportions, then the Grande was Jurassic-sized: two eggs done your way on sourdough toast with bacon, chorizo, mushrooms, spinach & black beans. This was a generous big breakfast with a Central American twist. Macgyver Boyfriend let me try the chorizo and it was a big mistake. It was so amazingly flavoursome that I kept trying to steal it from him! 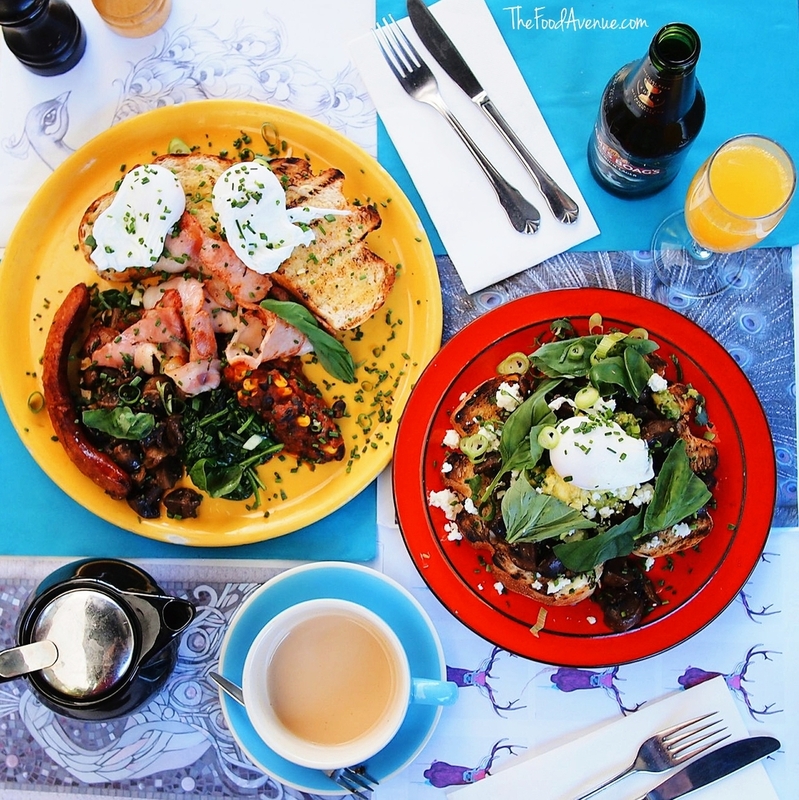 If you're looking for a fun and hearty breakfast or you're recovering from a fun night, the Boozy Brekky at Elk and Pea is definitely for you! *Macgyver Boyfriend and I dined as guests of Elk and Pea.